The last of my plectrums vanished down a crack in the floor boards. Normally this would mean a trip to the local music shop but now I have a laser cutter! 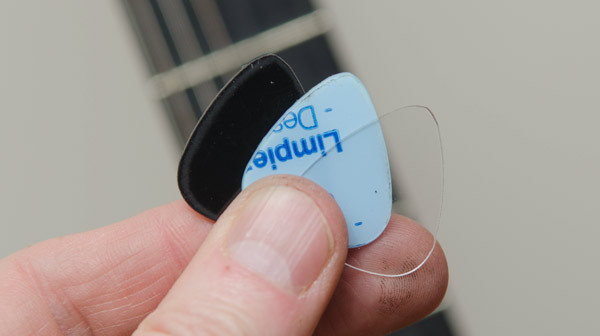 Time to cut out my own plectrum. 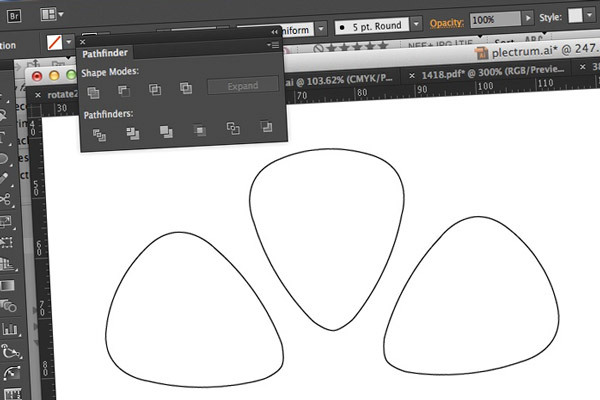 I found a picture of a plectrum online and traced it by hand into Illustrator, you can download the file here if you have access to a laser cutter.